Our Older Adult and Caregiver Services (OACS) provides senior care management to older adults, their families, and caregivers. Through counseling, care management, and caregiver support, our OACS experts assist you with concerns and decisions regarding aging. Assessments: an in-home service where an OACS professional reviews the current living situation of the older adult through a comprehensive evaluation. This can include examining their current support system, living environment, medical and mental heath conditions, financial situations, etc. The LFSRM professional then creates a personalized plan on how to improve the life for the client. Consults: usually an in-office meeting with family members and/or the older adult looking for guidance on a specific situation. The OACS professional will hear their story and concerns and then will offer solutions to their problem. Care Management: is ongoing help implementing the personalized plan and solution that assessments and consults recommended. Care management managers are often valuable in a crisis situation when a patient needs help from a specialist. 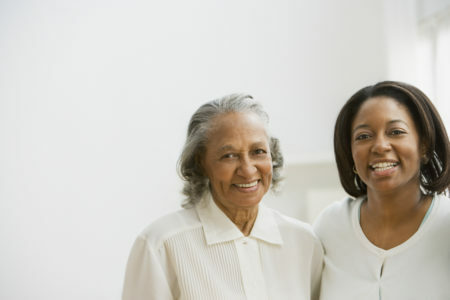 African American Caregiver Support Program: provides assistance to Denver caregivers through respite care, home visits, caregiver training/education, a support group, and annual conference. Older Adult Guardianship Program: provides services to a specific set of vulnerable older adults, termed the “unbefriended”. Unsure or need additional assistance?